Vapor Flask VF Lite is manufactured by Wismec a company based out of California. This box mod is perfect in size and power. 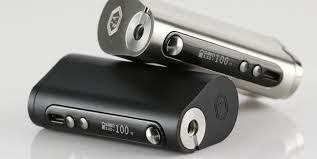 The Vaporflask Lite is a solid box mod that holds single 18650 battery. The device equipped with a 75W maximum power output. The Lite also features variable temperature technology supporting Nickel, Titanium and Stainless Steel coils. Gives the user several different vaping experiences. Additional features include upgradeable firmware, easy to operate user interface and innovative hinged battery door for effortless battery changes. Come check them out at Vintage Joye™ Vapor Lounge Naples. We packaged this unit as a kit including the Joyetech Cubis Tank as well as including a Sony 18650 Battery.